Hi! I am Mary Kay Wildes. I am from Virginia (born and raised). I met my husband Tom while studying at the University of Wisconsin, Superior. Following college, we relocated to Virginia and purchased my great-grandparents home. It was one of the first houses in Virginia and was actually moved from what is now a mine pit at the end of Chestnut Street. We have two amazing boys. 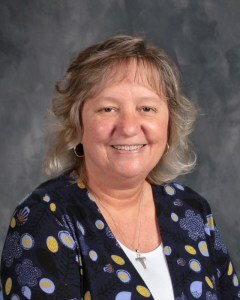 I have been at teacher at Marquette for many years. Teaching the faith and all the values associated with it brings joy and inspiration to my days. Marquette is like a second family to me. I have an open-door policy: If you have a question or concern, just let me know!